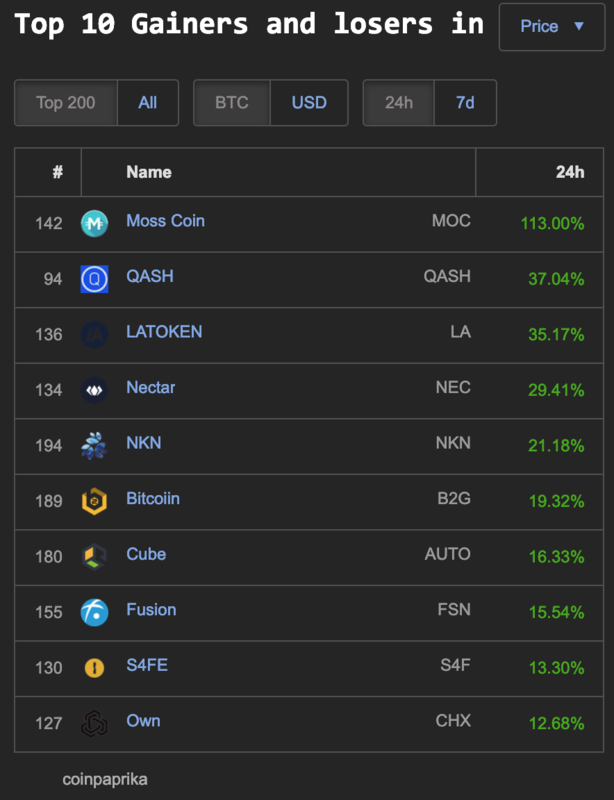 The big cap cryptocurrency market is mostly red, with a few spots of green QCASH (30%), Status (SNT) 7%, and Siacoin (SC) 5% on coin360.io. 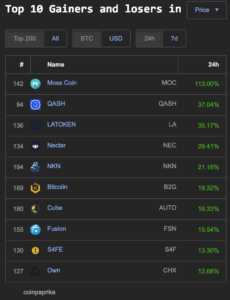 Coinpaprika.com today has nine coins with double digit gains and one with triple digit gains in the top 200 market cap: Moss Coin (MOC) 113%. 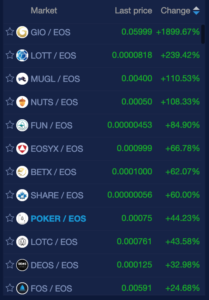 newdex.io has the GIO coin with over 1500% gains today, that is used with the GOLD.IO Decentralized Exchange (DEX), which is also governed by a Decentralized Autonomous Community (DAC). 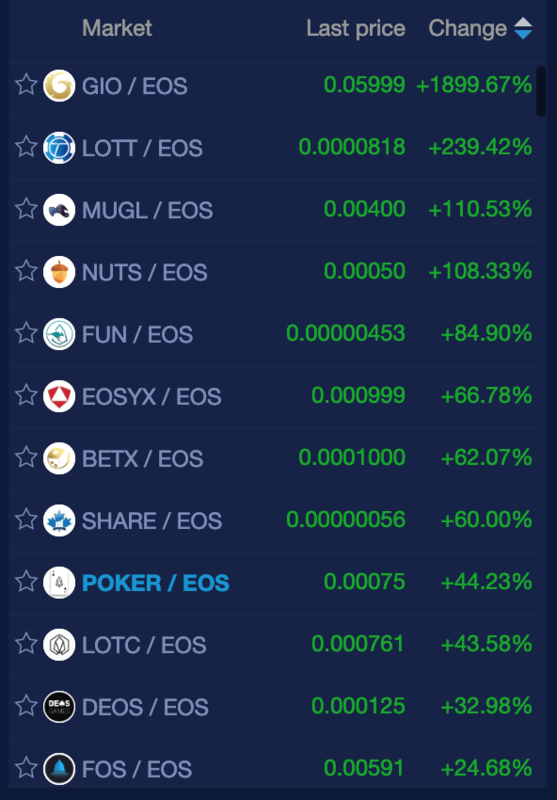 3 other coins have triple digit 100%+ percentage gains: LOTT, MUGL and NUTS, followed by 8 other coins with double digit gains all of which are trading with EOS pairings.